Black Gold Boom’s public art campaign has begun. 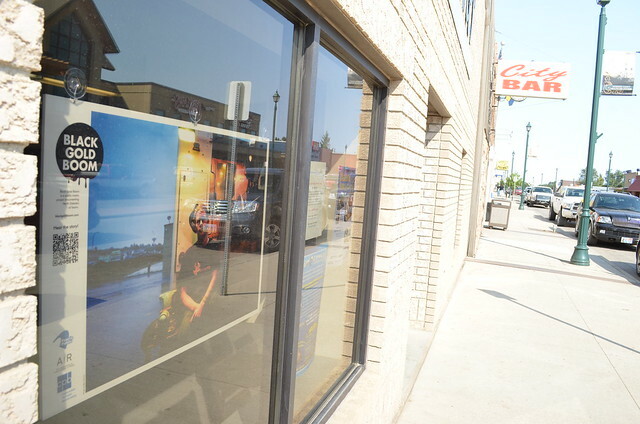 Four large-scale photographs are now on display in Watford City, North Dakota. 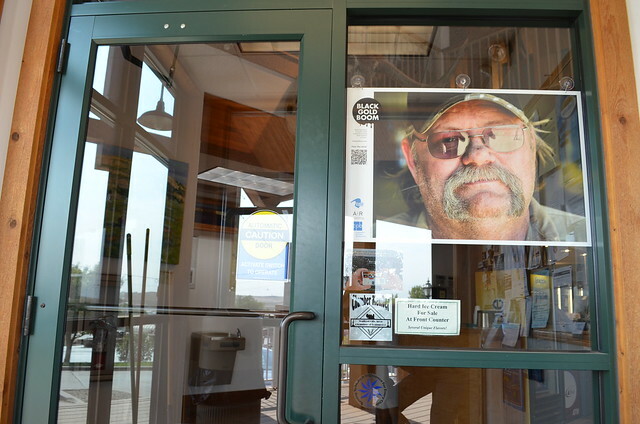 The photographs feature people living and working in oil country who were featured in Black Gold Boom stories. 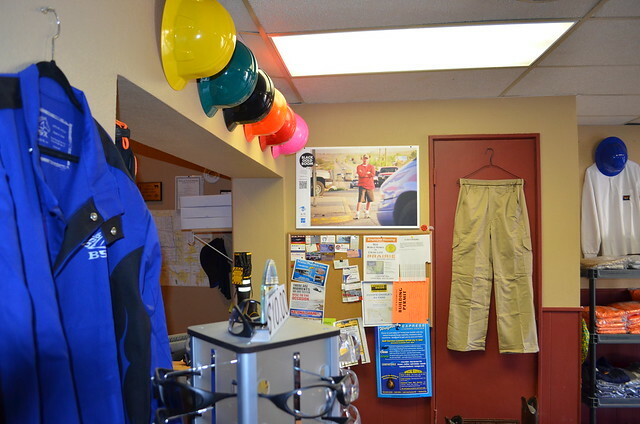 To date, we’ve posted photographs of singer/songwriter Jessie Veeder, fire retardant clothing salesman Bryan Johnson, trucking supervisor Richard Karpe and oilfield hand Geoff Swenson. Each photograph also includes a QR code that provides a direct link to that person’s Black Gold Boom story. So what the heck is a QR code? A QR code is a set of high-tech squiggles in the shape of a square. Each QR squiggle square is unique, kinda like a digital snowflake. If you own a smartphone you can take a picture of the QR code and it will take you to a website. 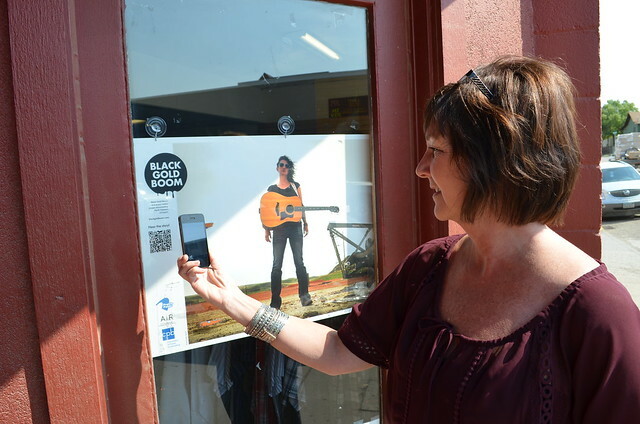 Or in the case of Black Gold Boom’s public art campaign, the QR code takes you directly to SoundCloud’s mobile site, where you can listen to that person’s Black Gold Boom story.